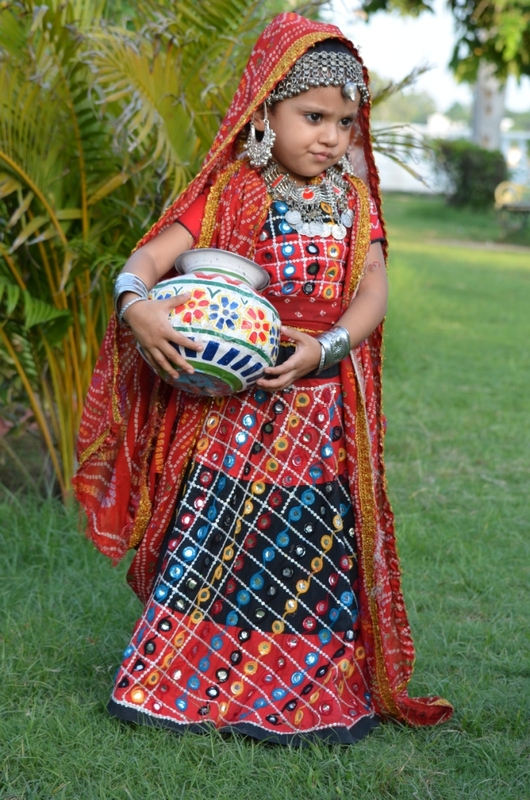 I was on the way to Jodhpur and now I was just some two hrs away from my destination. But still one last stop over was left, my previous stop over’s were different, call them romantic, a story of hard work or something historical. But this stop over was something which was different from other’s, it had a belief, story of peoples faith and folk lores told about it. 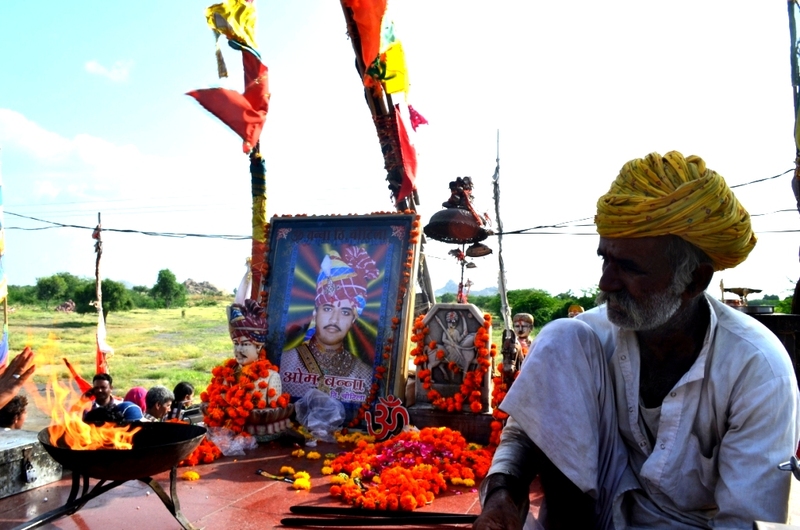 I was reaching Om Banna Temple very famously called as “Bullet Baba Temple”. 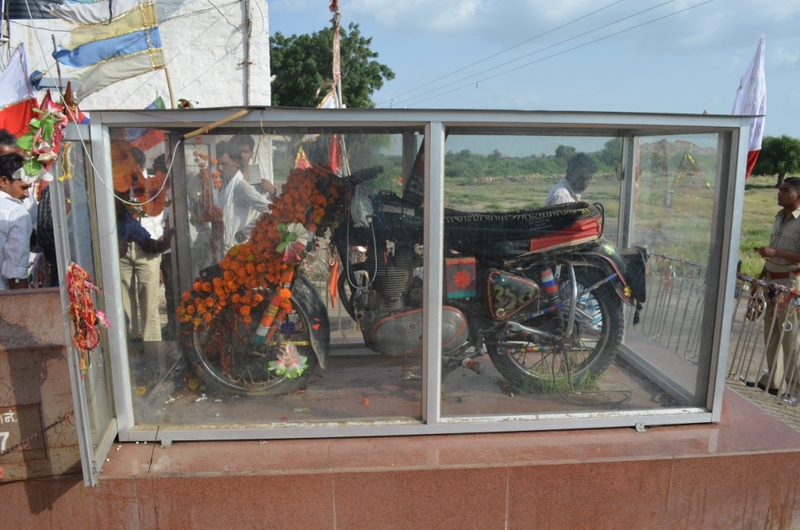 It was the temple where a motor cycle is worshiped, that’s why Bullet Baba Temple. “Every night his bike used to elope from the police station and come to the spot where this accident happened,next morning police would come and take it back but same thing would happen again , though this bike was chained and even the fuel tank was emptied but still this thing kept on going. Some people say Om Banna came into the dreams of his parents and told them to make one temple on his name where this accident happened , some says this news of bike coming to the spot again and again made people to make a temple at this spot”. 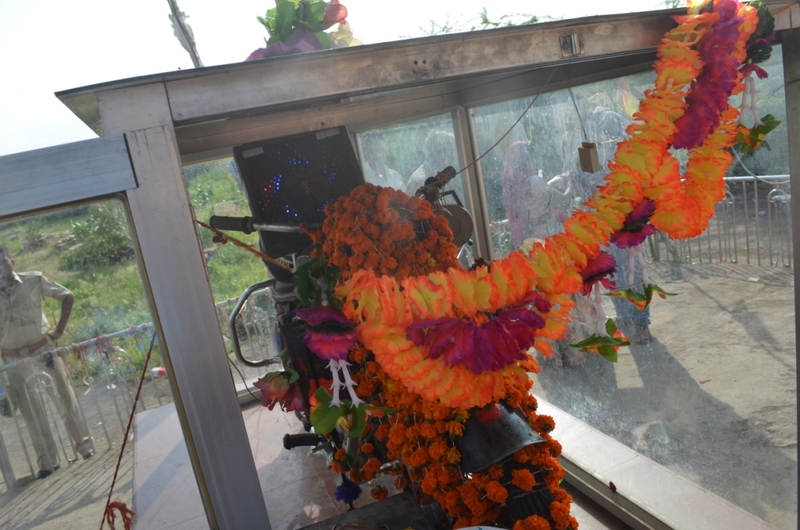 Now stands Om Banna temple at that spot where Om Banna died, his bullet stands there in the glass box and daily early morning people come there seek his blessings, every traveler going from this road would stop here like I did and would seek Om Banna’s blessings. The tree with which his bike collided is in itself a sacred spot now , ladies from far flung area’s come here and dress up this tree with bangles, scarves and ropes . 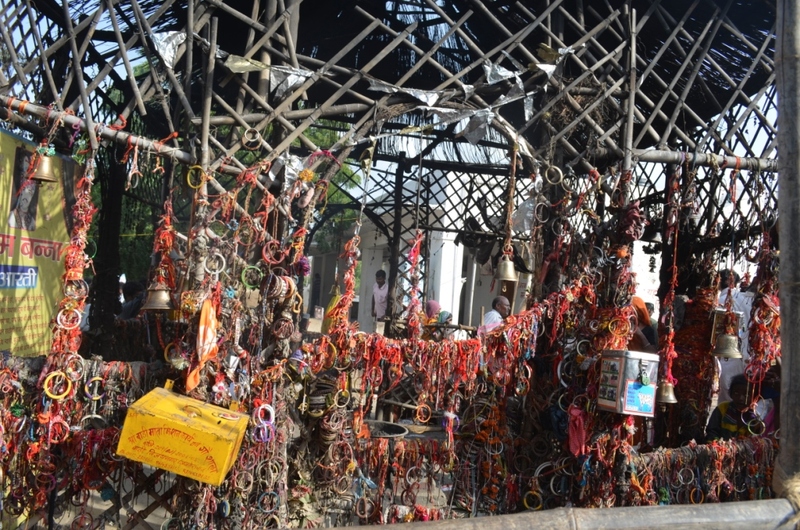 It is considered this temple gives blessings to all who visit here and the visitor and his family is saved from any coming accident in future. Like seen in the picture, a statue and a framed picture of Om banna is placed there, this incident is of 1991 and since then one priest Shri Poonam Giri lives there and do all the services of the temple. It is not the scene that only people who are passing from Jodhpur-pali highway comes there, people comes specially to this place from very far places. It was one of the most strangest of story I was hearing in my life till now, but this is what life is, strange things do happen and it happened with me also there. I was clicking picture of Om Banna Temple , suddenly two guys came to me and asked “How much will you charge and when you will give me print” I was surprisingly smiling like they cracked a joke on me and replied with hands shaking “I can click but wont be able to give you print right at the moment you may give me your number or address will post you, they got my point and left the point, may be they didn’t had that much patience”. This was not happening for first time on this trip, same thing happened when I was at Fateh Sagar Lake for Sunset, I had clicked one picture of a small girl dressed in local Rajasthani attire, her parents asked me can you give us print but I said to them I wont be able to, you can take my number and message me your email I will send you the picture, but don’t know why they haven’t send me their email till now, wish I had taken their email. My time was over at Om banna temple, I had got the blessings I hope. I was just some 50 Km away now from the Jodhpur and it was getting very tiring now and atleast for me my next and final destination was my hotel only Mandore Guest House, Jodhpur and I was dying to reach there.